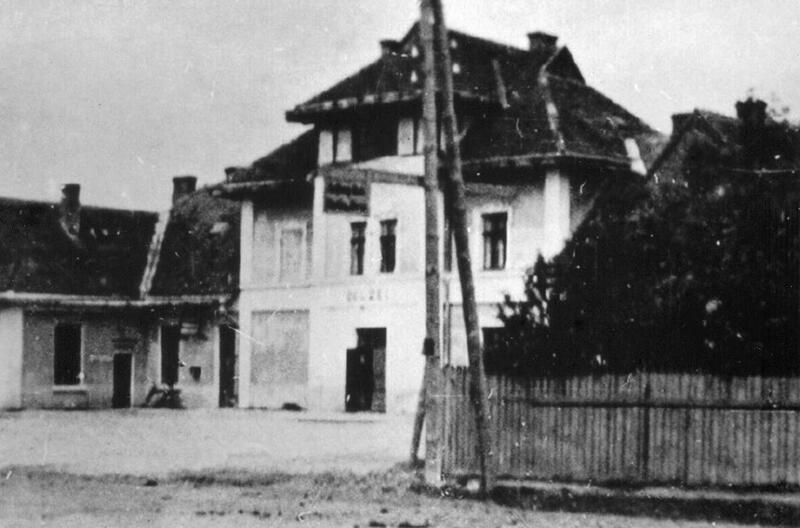 Georg Holzel – Ostbahn "Extract from the Interrogation"
Georg Holzel – Deputy Station Master at Zwierzyniec station in the Lublin District from 1st September 1941 till November 1942. 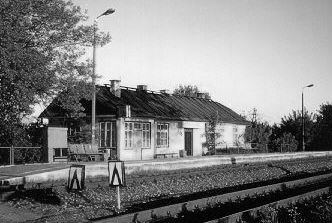 In your capacity as a railway employee, did you ever have to visit the stations at Belzec and Sobibor? I was in Sobibor twice, I was frequently in Belzec. I estimate 5-6 times. What were the names of the station masters at these places? I know that in Sobibor it was Buckstegg who came from the Kleve area, I do not know his rank, he was in any case the station master. 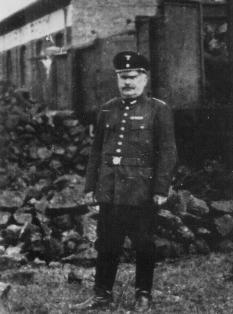 I cannot remember the name of the station master in Belzec. I remember especially about Buckstegg that he used the turn of phrase “Stupid pig,” he ended every telephone conversation with these words. Did you have any point of contact with the SS-men in Belzec or Sobibor? In Belzec the SS-men lived in small farm-houses directly opposite the station. I in no way had any point of contact with these SS-men. During my duty in Belzec I came across one SS-man in particular who always went around with a riding whip. I noticed that he definitely wore four stars on his collar. I am not familiar with SS-ranks. I once saw how a transport train of Jews was shunted into the Belzec camp. It happened like this: that in the station area the engine was changed from the front to the rear of the train, and then shunted it into the camp. The engine was then uncoupled and eventually the camp was locked. At this point the train personnel had to leave the station. Whether the trains were then handled exclusively by German personnel, I cannot say. To my knowledge, it happened that Polish personnel were used. Did you know the engine drivers who drove the transport trains to Belzec? As far as I know, the engine drivers of such trains came from various engine depots. I cannot name any names. Who would know the name of the station master at Belzec? I believe that the Obersektretar of the Reichsbahn Wittke, from Hamburg- Altona could make a statement. Wittke in my time was the senior station master in Zwierzyniec. A certain Krems or Krenz from Essen – today an Obersekretar of the Rolling Stock Construction Company in Essen, was also at Zwierzyniec at the time. He too must know the name of the station master in Belzec. Do you know anything about the total number of transports to Belzec? I know only from hearsay that in the critical time three transports a day rolled into Belzec. These trains also ran on Sundays. Did you ever see such transports on the lines? I remember such transports. I cannot give numbers. One experience made an impression on me. It was one Sunday afternoon about 1.30pm. 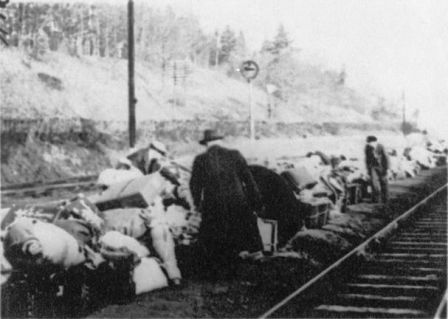 A transport train of Jews was reported from Zawada. At our station in Zwierzyniec, engines took on water. This happened also with the above-mentioned train. A little Jewish girl was squeezed out of the stationary train who I estimate was about 10 -12 years old. that he could take my water tumbler and hand the girl some water. I told the girl that she should put her money away. While the girl was drinking, the SS transport leader who wore four stars as badges of rank appeared suddenly behind me. He then knocked the glass out of the girl’s hand with his riding whip and then dealt the child several more blows. The girl’s father squeezed out of the wagon and on his knees begged the SS-officer to leave her alone. The SS –officer drew his pistol and shot the father in the back of the neck. The girl was thrown back into the wagon. The same happened with the dead man. The SS-officer told me it was a disgrace and not worthy of a German official to be a Jew’s slave. When in this connection I am asked the name of this SS-officer, I can only say today that he presumably came from Lublin. The transport also came from there. Which railway employees do you remember from your time in Poland? I knew all the railway employees only today I can no longer name any names. Did you know that the railway siding ended inside the Belzec camp? In my opinion, the management of Belzec camp under Zwierzyniec. SS – Rottenfuhrer Schutte belonged to this management. To my knowledge, he came from the area of Gelsenkirchen or Hamm. Which members of the German railway management in Lublin are known to you? I remember operations controller Diegelmann, also president von Bauer, then senior official Muller – now presumably with the Deutsche Bahn management in Cologne, he was our chief of personnel. In Herenfeld today live the railway officials Frtiz Scharrer and railway inspector Georg Holzel who spent several years in service at Hrubieszow. Extracts from the interrogation of Georg Holzel on 10 January 1962.